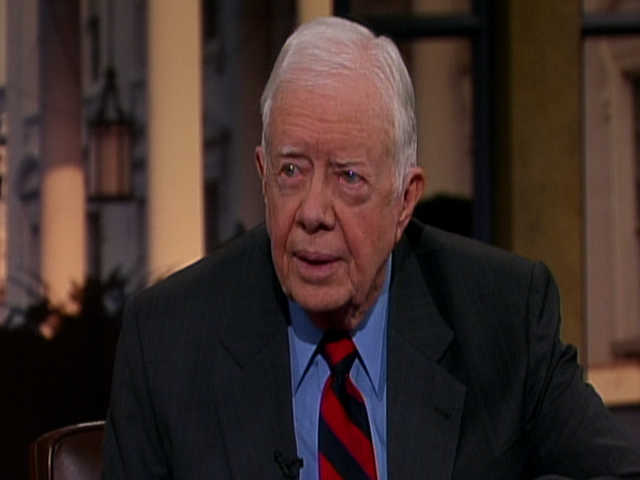 In an exclusive interview with CBS News, former President Jimmy Carter said WikiLeaks' release of secret government documents is not as damaging to the United States as it is to Iraqis and Afghanis helping the United States in the Middle East. "To have their names revealed as associated with the United States government might put their lives in danger if they are still there, or their families in danger," Mr. Carter told CBS News senior White House correspondent Bill Plante on Monday. "It's damaging to people who have been revealed as helping the United States, particularly those who are vulnerable," the former president said. "That's a serious negative aspect to it." The administration and many members of Congress have condemned the release of documents by WikiLeaks. "When something is finally released -- when I was president and I'm sure it's the same under President Obama -- it's very carefully vetted to make sure that you eliminate all the off-hand remarks and preliminary discussions and you just reveal what the final conclusion was," Mr. Carter said. "When you take things like that out of context, I think it helps no one, but hurts diplomatically," Mr. Carter said. Watch the video of Mr. Carter at left. And for more of Plante's interview, watch CBS News' daily politics webcast, "Washington Unplugged," on Tuesday and Wednesday at 12:30 p.m. ET on CBSNews.com. In his first interview since Election Day, Mr. Carter also discussed midterm election results and Republicans' responsibility, his advice for Mr. Obama, and his newest book, "White House Diary." "Washington Unplugged," CBSNews.com's exclusive daily politics Webshow, appears live on CBSNews.com each weekday at 12:30 p.m. ET. Click here to check out previous episodes. Washington Unplugged: Death of Secrets in Digital Age? Seoul: N. Korea to Collapse, China "Incompetent"